Plok is without a doubt one of the true hidden gems of the SNES library. 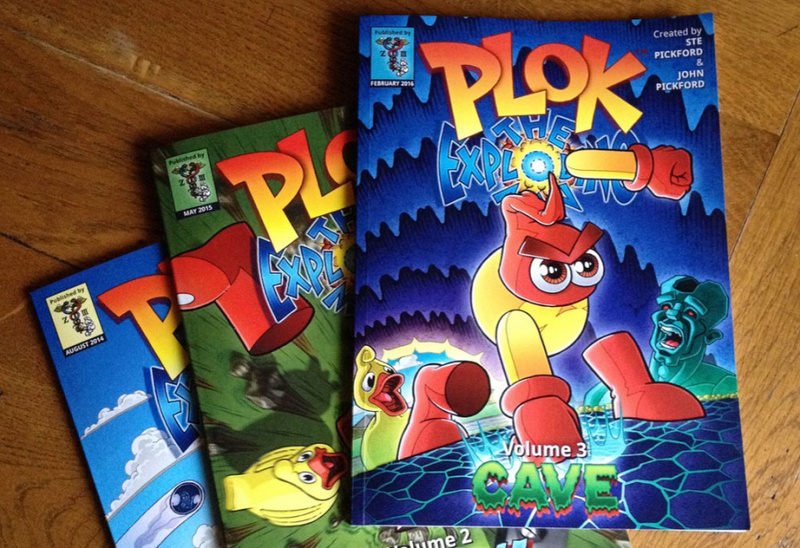 Created by British coding siblings Ste and John Pickford, Plok originally starred in a unique platforming epic for the 16-bit console but has since gone on to become the lead character in a series of web-based comics, drawn by incredibly talented Ste himself. The premise is that after Plok emerged victorious at the end of his SNES outing he took the well-earned rest as the ideal opportunity for a quick nap. Unfortunately, with no enemies to trouble his slumber he didn't awaken until twenty years later, and is a bit befuddled at the fact that Plok 2 never went into production. Volume 3: Cave covers episodes 50 to 76 of the comic strip and comes with plenty of exclusive content. While it says "3" on the cover, this is in fact the fourth Plok book, following 2015's Plok Bumper Colouring Book. If this sounds right up your street, then head over to Zee-3's site and place an order. Physical copies are available, as are digital versions. Ah Plok. What a game!! Mighty impressive, nice to see that they're still doing something with this! I wonder if the comics nodded to the Follin Brothers? I saw the webcomic acknowledge Wetrix for example. Is that game actually good? I've seen some videos of it and it didn't seem all that impressive. its very colorful and that harmonica in the beginning is 16 bit bliss. Wonder if they ever released the soundtrack on CD... should reissue it on vinyl. Plok himself looks cool. I'll have to check the game out, I guess. I'm so happy to see this getting some recognition. Plok is my all time favorite game and deserves more.